The SR-20RIV Type A provides exceptional performance and versatility within the 20mm class. Up to forty one tools can be mounted including six tools on the manual B axis tool post. 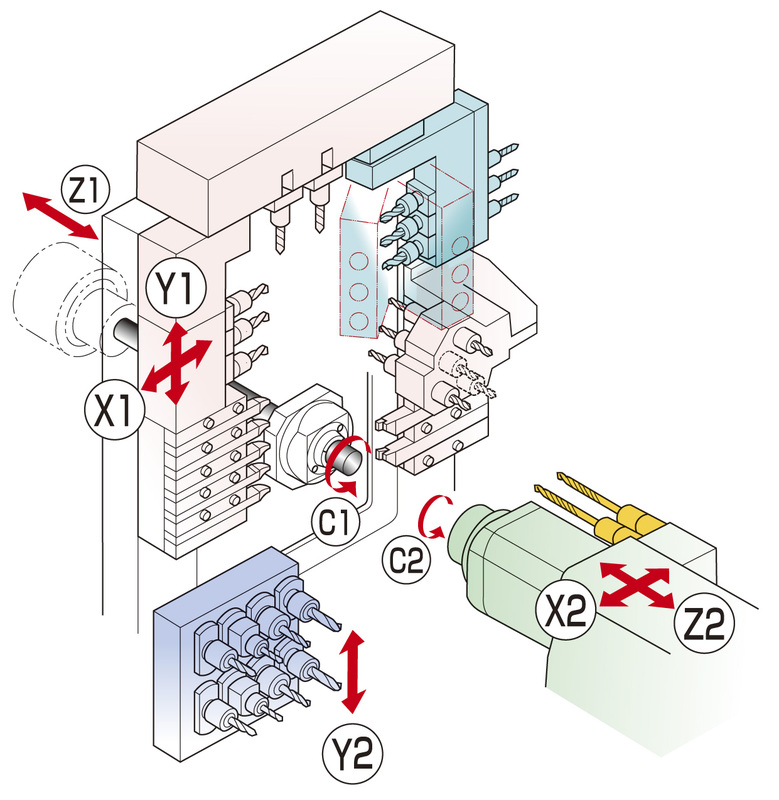 The flexibility of the SR-20RIV Type A is further enhanced by its ability to switch between guide bush mode (Swiss type) and non-guide bush mode.